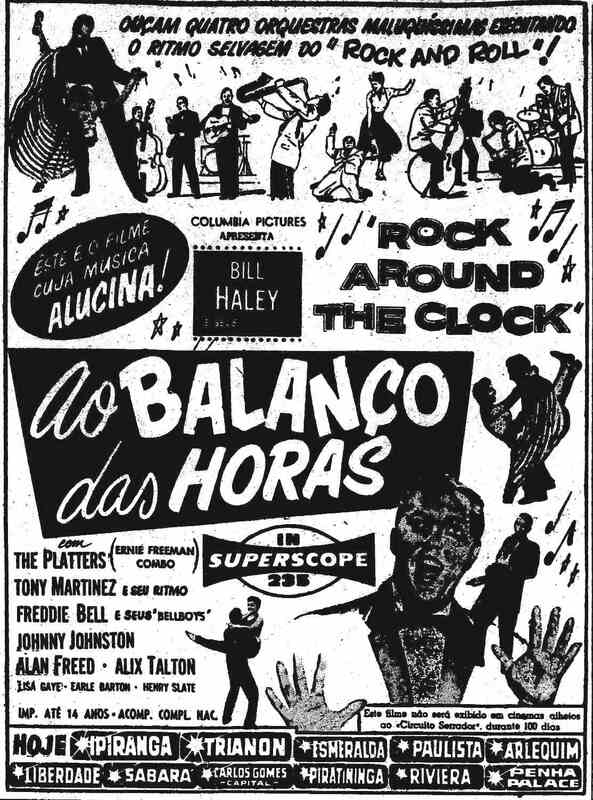 'Rock around the clock' (Ao balanço das horas) premiered at Cine Ipiranga on a Wednesday, 19 December 1956. 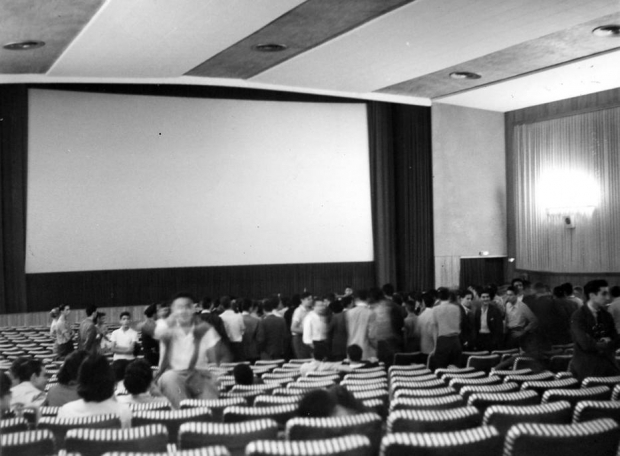 Soon there were reports saying that kids who went to watch it vandalized the cinema so the police force were called in to curb the violence. 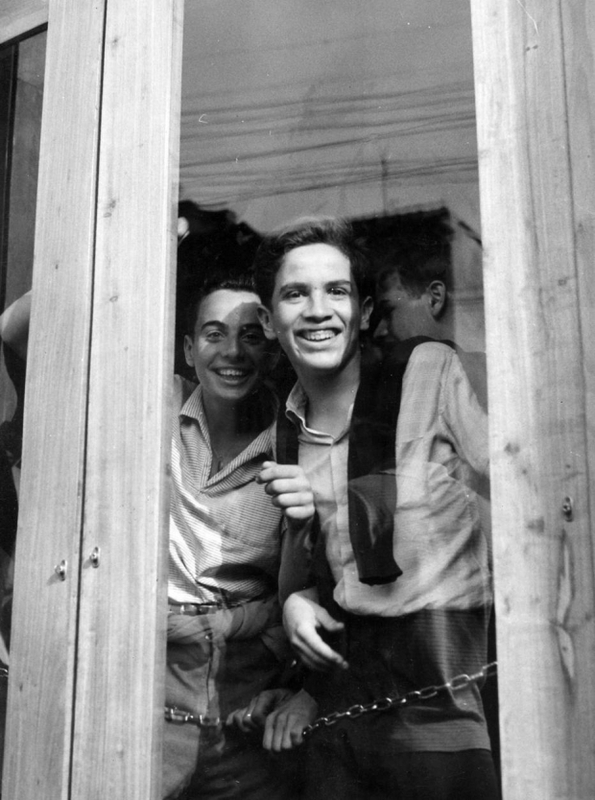 Newspapers and radio stations pounced on such outrageous news and it became a hot issue during the last weeks of 1956. Identical scenes had happened in the USA when 'Rock around the clock' was released there on 21st March 1956. 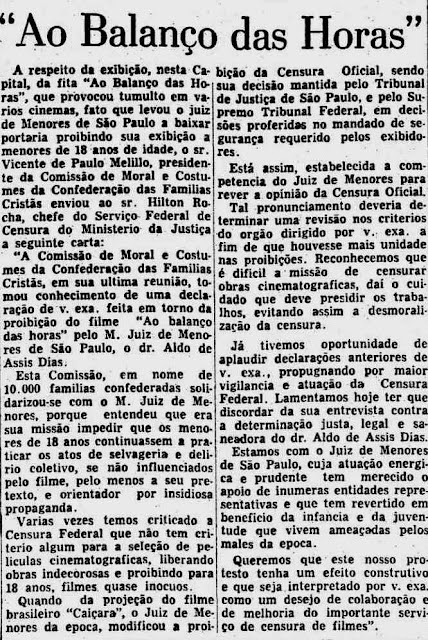 Sao Paulo's conservative mayor Janio Quadros helped putting gasoline to the fire by inciting the police to use force against juvenile 'delinquents'... so the matter would not die down and so rock'n'roll end up having a bad name even before people knew what it actually was. 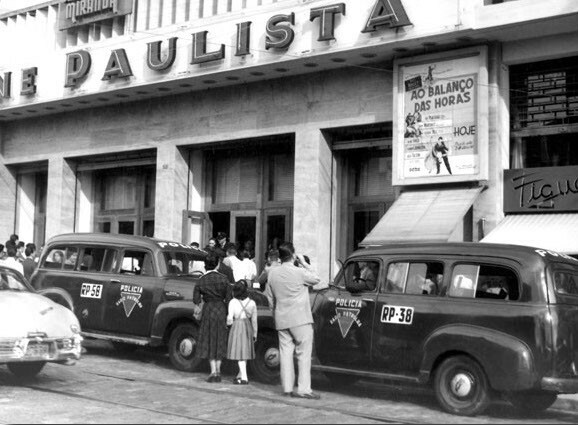 police patrol cars were summoned up to maintain order at Cine Paulista on Rua Augusta. 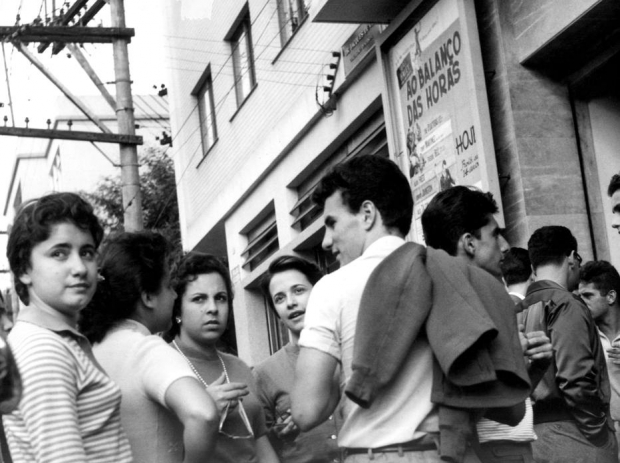 queueing up to get into Cine Paulista to watch 'Rock around the clock' - 23rd December 1956.
kids inside Cine Paulista ready to watch 'Rock around the clock' and destroy property. 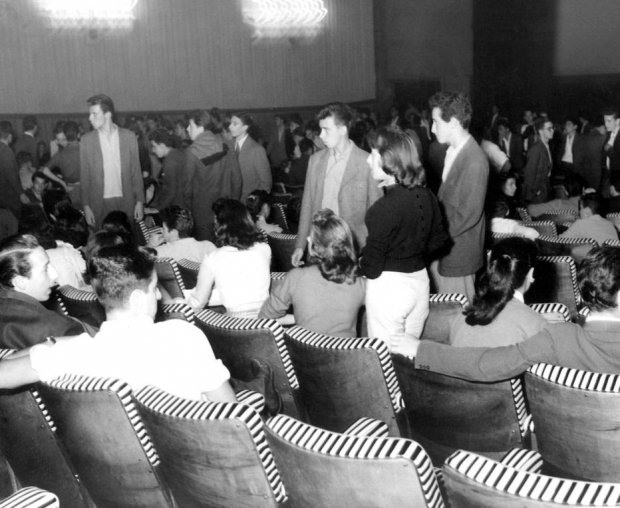 Kids this old were banned from entering the cinemas after the first week of depredation. 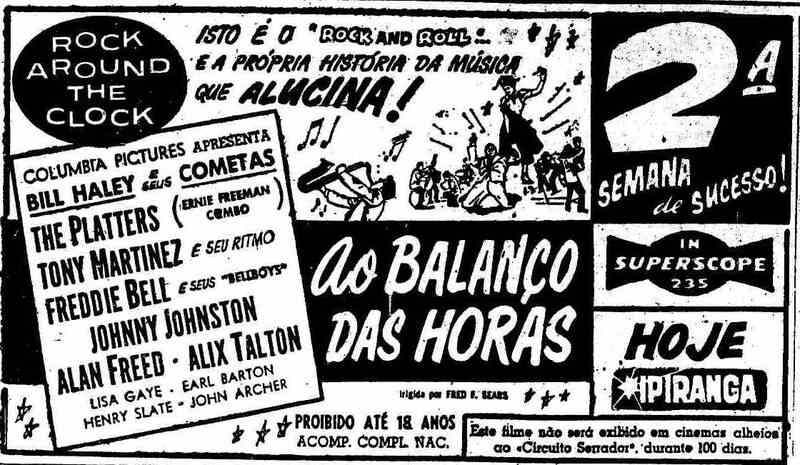 inside Cine Paulista kids are expecting trouble from the police force - December 1956. 'O Estado de S.Paulo' 5 January 1957. 27 December 1956 - 'Ao balanço das horas' (Rock around the clock) that had initially been rated 'suitable to be seen by those 14 years-old or older' had its rating changed and only adults older than 18 years would be admitted.